Jim Rothermel was a great horn player, appearing in many interesting albums. He played many different instruments, sax, clarinet, also flute, recorder and harmonica. He was born in Panama on September 29th, 1941, but soon moved to Norfolk. I still haven´t had time to write a proper page about Jim, but sad news is that Jim passed away on May 16th, 2011, due to complications of leukemia. That´s the reason why I´m publishing this page as a tribute to him. I'll try to add more info little by little. He started playing in rock bands, but in later years, he moved to his passion, jazz, playing with several orchestras and even his own band. He was also a sax teacher at Sonoma State University. JESSE COLIN YOUNG BAND #? Jim also played with Leon Redbone and Steve Goodman, but need info on the lineups. Help, please! GOLDEN GATE RHYTHM MACHINE #? Apart from playing with his own band, Jim played with the Peter Velker Quintet, the Marin Saxophone Quartet, with Larry Vuckovich (Larry used to play in Jim Rothermel Group) and Harold Jones, but I haven´t enough info. 01. Was Jim a member of Maria Muldaur live band? 02. Has Jim played live with Van Morrison? Superb trumpet player, Snooky Young was born Eugene Edward Young on February 3rd, 1919 in Dayton, Ohio, USA. He studied music when he was a child, mostly due to his parents (his brother, Granville Young also played trumpet). EDDIE HEYWOOD SR ORCHESTRA #? He appeared in several albums with Basie. 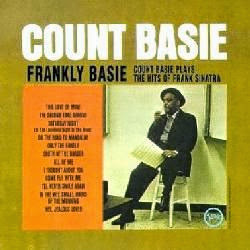 With this third stint, he had spent overall 8 years with Count Basie. Cat Anderson, Benny Bailey, Eddie Bert, Clifford Brown, Garnett Brown, Pete Candoli, Thomas Chapin, Jimmy Cleveland, Buster Cooper, Wendell Culley, Wallace Davenport, Richard Davis, Alan Dawson, Kenny Dorham, George Duvivier, Harry ´Sweets´ Edison, Jon Faddis, Art Farmer, Carl Fontana, Charlie Fowlkes, Curtis Fuller, Dexter Gordon, Al Grey, Johnny Griffin, Gigi Gryce,... up to 59 musicians. Tony Barrero, Ellis Barti, Gil Bernal, Kenneth Bolds, Earl Bostic, Tina Brooks, Milt Buckner, Lawrence Burgan, Betty Carter, Arnett Cobb, George Dorsey, Ray Draper, Oscar Estelle, Joe Evans, Curley Hamner, Al Hayse, John Jackson, George Jenkins, Ben Kynard, Steve Little, Billy Mackel, Charles McLinden, Maurice Meunier, Jackie Paris, Sonny Parker,... up to 35 musicians. When the TV show was moved from New York to California in 1972, he agreed to do that and moved with them. Snooky stayed with the band until 1992, when TV personality Johnny Carson retired, and the band was replaced. John Audino, Louie Bellson, Conte Candoli, Pete Christlieb, Kenny Davis, Mel Davis, David Delhomme, Willie Dennis, Joel DiBartolo, Kevin Eubanks, Paul Faulise, Chuck Findley, Russ Freeman, John Frosk, Bernie Glow, Urbie Green, Ronnie Gutierrez, Dorian Holley, Robert Hurst, Paul Jackson, Wally Kane, Kenny Kirkland, Al Klink, Arnie Lawrence, Shelly Manne,... up to 55 musicians. Bob Alexander, Don Ashworth, Bob Bain, John Bambridge, Sy Berger, Gene Bertoncini, Will Bradley, Teddy Campbell, Sid Cooper, Milton DeLugg, Nick DiMaio, Randolph Ellis, Gerry Etkins, Gilbert Falco, Harold Feldman, Joe Ferrante, Matt Finders, Miguel Gandelman, Bob Haggart, Maurice Harris, Scott Healy, Skitch Henderson, Al Howard, Dean Kincaid, Yank Lawson,... up to 56 musicians. Pepper Adams, Wayne Andre, Bill Berry, Eddie Bert, Randy Brecker, Dee Dee Bridgewater, Garnett Brown, Bob Burgess, Steve Coleman, Eddie Daniels, Richard Davis, Jerry Dodgion, Ray Drummond, Jon Faddis, Joe Farrell, Earl Gardner, Ian Hamer, Roland Hanna, Billy Harper, Joe Henderson, Gregory Herbert, Quentin Jackson, Thad Jones, Jimmy Knepper, Mel Lewis,... up to 46 musicians. In 1972, when he moved to California with The Tonight Show Band TV orchestra, he also started playing sessions for movie soundtracks. MONTEREY JAZZ FESTIVAL ALL-STAR BAND #? They released the live album Festival time. 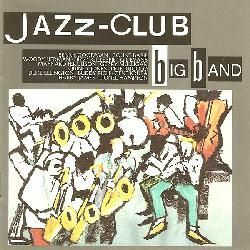 ALL STARS BIG BAND #? 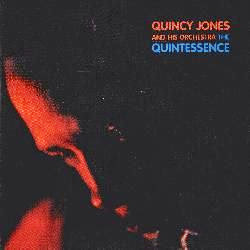 Alex Acuna, George Adams, Rashied Ali, Don Alias, Wayne Andre, Phil Ayling, Manolo Badrena, Mike Balogh, Dave Bargeron, Ignacio Berroa, Dan Bonsanti, Neal Bonsanti, Thomas Borocz, Michael Brecker, Randy Brecker, Serge Bringolf, Delmar Brown, Elmer Brown, Scott Brown, Forrest Buchtel, Hiram Bullock, Billy Burke, Ronnie Burrage, Gene Cipriano, John Clark,... up to 105 musicians. A double live CD was released, also a video of the performance was broadcasted. John Abercrombie, George Adams, Pepper Adams, Danny Bank, Karl Berger, Eddie Bert, Hamiet Bluiett, Phil Bodner, Randy Brecker, Roy Brooks, Sam Burtis, Don Butterfield, Jaki Byard, Jimmy Cleveland, Johnny Coles, Buddy Collette, Ronnie Cuber, Willie Dennis, Eric Dolphy, Rolf Ericson, Jon Faddis, Art Farmer, Paul Faulise, Alex Foster, Urbie Green,... up to 74 musicians. Toshiko Akiyoshi, Ed Armour, Dave Ballou, Mark Belair, George Berg, Jonathan Blake, Abraham Burton, Teddy Charles, George Colligan, Ted Curson, Kenny Drew Jr, Daniel Druckman, Booker Ervin, Wayne Escoffery, Ricky Ford, Kathy Halvorson, Bob Hammer, John Handy, Andre Hayward, Lonnie Hillyer, Dale Kleps, John LaPorta, Charles McPherson, Robert Neloms, Walter Norris,... up to 33 musicians. They also backed Mel Torme in some tracks that same day. Those tracks were released as Recorded live at the Fujitsu-Concord Jazz Festival in Japan ´90. He played and recorded with the orchestra until 2010. He received a National Endowment for the Arts Jazz Masters Award for 2009 on October 17, 2008 at Lincoln Center in New York. Young played the trumpet for actor Jack Carson´s character in the movie Blues in the Night (1941), featuring Jimmie Lucenford And His Orchestra with Snooky Young (and also Will Osborne And His Band). Snooky also played in the soundtracks of the movies Blazing Saddles (1974, funny movie directed by Mel Brooks, starring Gene Wilder, and featuring Count Basie), New York, New York (1977, starring Robert De Niro and Liza Minelli), and The Color Purple (1985, directed by Steven Spielberg and featuring Oprah Winfrey). He passed away on May 11th, 2011 at a relative’s home in Newport Beach, California, USA, due to complications from a lung disorder. He was 92. What a great legacy he has left us. As always, with musicians with such long careers, I can´t even dream of covering every fact, so I know I´m missing many live bands, orchestra lineups, as well as hundreds of recordings, but I´ll be adding more info in the future. Meanwhile, if someone can provide additional info, it would be very welcomed. Comments: Recorded in October 1985. Comments: Recorded live in April 1967. CD reissue contains 3 bonus tracks from the same concert. Comments: First CD edition in a single CD misses some tracks. My opinion: Fantastic live album, I love it. They are very well augmented and enhanced by the horn section. Comments: Recorded in December 1978. Comments: Recorded live at the Concord Summer Festival in 1979. Comments: Recorded live in November 1990. Mel´s backed by the Frank Wess Orchestra in 3 tracks. Comments: Recorded live in November 1990. Comments: 2CD sampler featuring tracks by: Clark Terry (with Frank Wess), Joe Williams, Count Basie (2 tracks, with Frank Foster, Snooky Young, and Frank Wess), National Youth Jazz Orchestra, Chris Barber, Kenny Ball, Georgie Fame And The Blue Flames (with Bernie Holland), Osibisa (with Mac Tontoh), Ronnie Scott, Acker Bilk, George Melly, Dizzy Gillespie (with James Moody) and Carmen McRae. Comments: Recorded from October to December 1962. Comments: Recorded in September 1968. Comments: Recorded in September 1971. Comments: Recorded in October 1973, February 1974 and April 1974. Comments: Half the album contains yet released tracks. Comments: Compilation with tracks recorded from September 1962 to April 1966. Comments: Compilation including the album Heavy axe as well as other tracks from albums were David Axelrod appeared (tracks by Gene Ammons, Funk Inc, Nat Adderley, Big Man or Hampton Hawes).